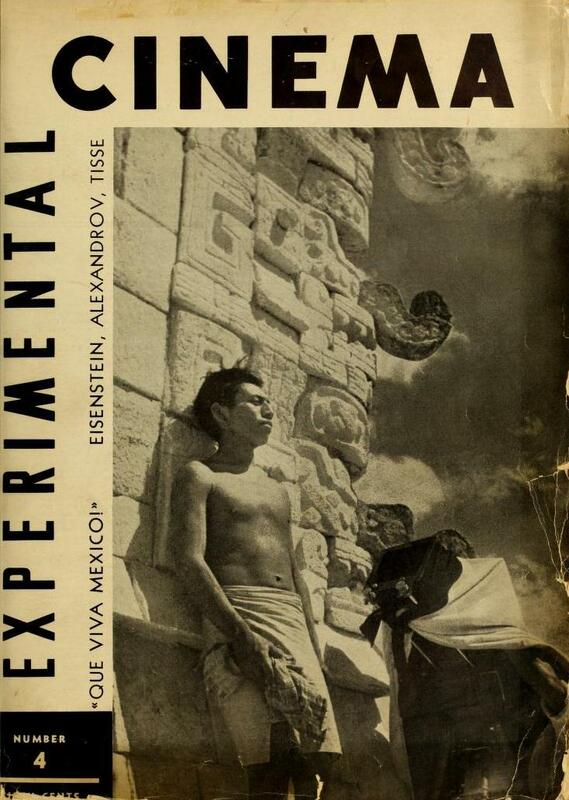 Experimental Cinema fue una revista norteamericana de avanzada creada para contraatacar las tendencias de la industria cinematográfica capitalista. Entre sus colaboradores estaban Sergei Eisenstein, Bela Balazs, Pudovkin, Dovzhenko, Carl Dreyer, Alberto Cavalcanti, Man Ray, Marc Allegret, Pabst, Jean Epstein, Rene Claire, Lubitsch, Griffith, Stroheim, Vidor, Seastrom, Chaplin, Flaherty, Sternberg y Luis Buñuel por mencionar algunos. The Cine Club of Mexico has been organized and affiliated with the Film Society of London and with the League of Cine Clubs of Paris. Its program is the same as that of the cine clubs throughout the world, but it is especially akin to the Spanish Cine Club which has achieved great success in the two years of its existence. To procure the showing of good European, American and Asiatic vanguard films. To establish the educational cinema, with special attention to the systematic showing of scientific films. To study the History of the Cinema by means of film-exhibits dealing with the cinema in retrospect. To hold lectures on the esthetic, scientific and social importance of cinematography. To create a favorable atmosphere out of which a Mexican cinema art may emerge. The Mexican Cine Club will follow the plan of the successful foreign cine clubs in linking its activities with a conscientious study of our necessities. Its purpose is highly social and not lucrative. Art Director: Bernardo Ortiz de Montellano. Secretaries of Finance: Manuel Álvarez Bravo and María Izquierdo. Secretary of Propaganda: Carlos Mérida. Directors: María M. [sic] de Álvarez Bravo and Roberto Montenegro. General Secretary: Agustín Aragón Leiva. The organizers of the Cine Club are among the most serious-minded writers, artists, journalists and critics in Mexico, who have been able to see that our environment is a sufficiently cultured and mature to make possible the existence of a Cine Club whose prime mission is to give the cinema the place which it deserves as a powerful vehicle of culture. In order to make known the circumstances which have determined the creation of the Cine Club and to point out the details of its program, these organizers will shortly circulate a manifesto calling for general active cooperation in the establishment and functioning of the Mexican Cine Club.